You know the saying, BMWs are to be driven while Mercedes-Benzes are for being driven in. Can the 2017 BMW 750i level with luxury connoisseurs and cater for both drivers and drivees? 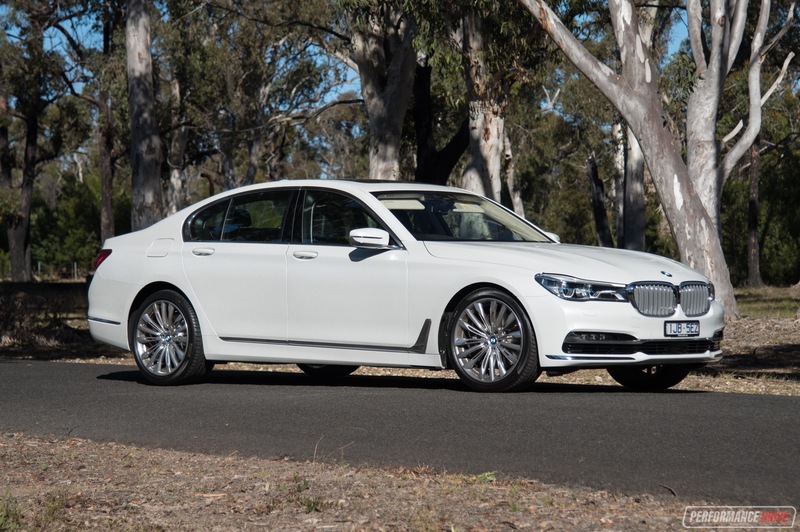 BMW released the new 7 Series last year. Aside from boasting a rather fetching design, it debuts an all-new modular platform called OKL which is infused with “Carbon Core” technology. 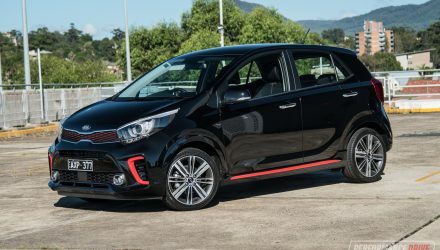 Essentially, carbon fibre makes up sections of its construction in an aim to not only decrease weight but also heighten driving dynamics and body rigidity. 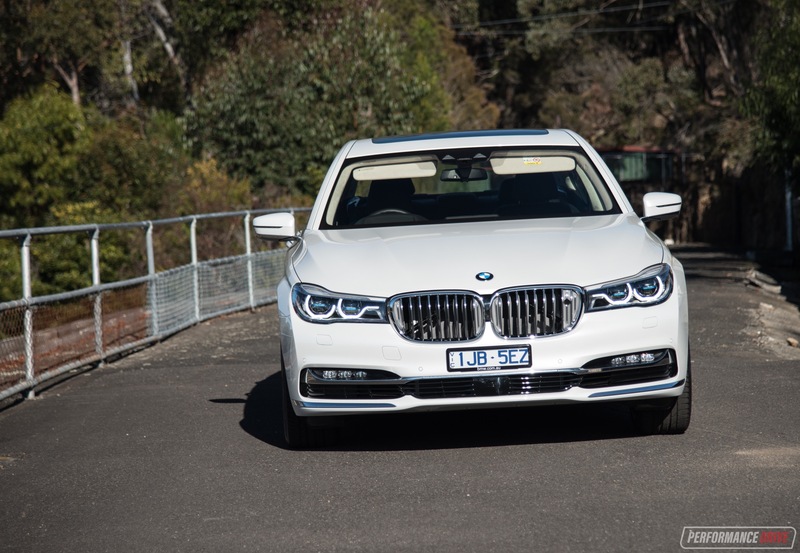 In Australia there are five main variant/powertrain lines to dissect the range, from 730d, 740e hybrid, 740i and 750i, with long wheelbase (codenamed G12) available for the two top dogs. 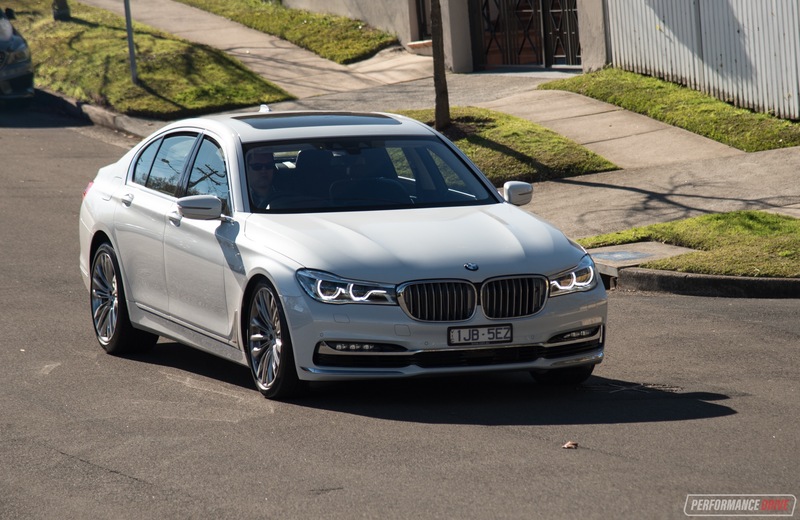 There’s also the uber-luxury, twin-turbo V12 760Li in long wheelbase form only. 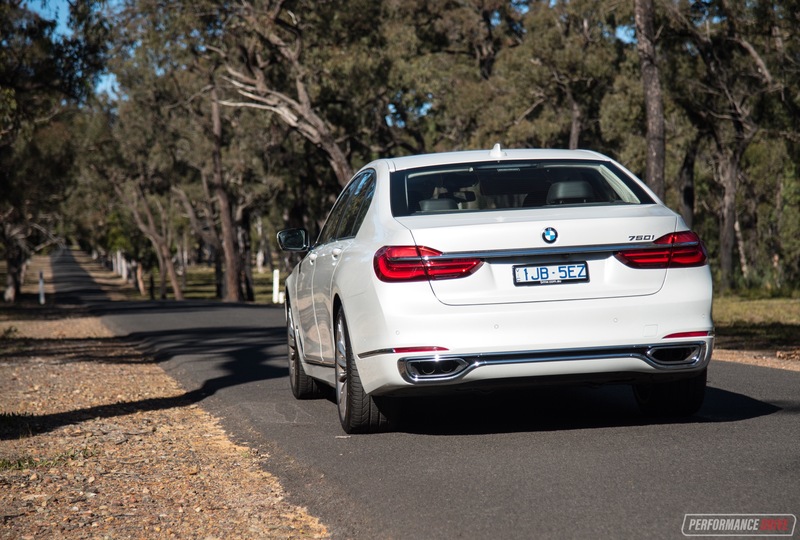 Here we’re testing the 750i in regular wheelbase configuration (G11), priced from $293,710 (excluding on-roads). 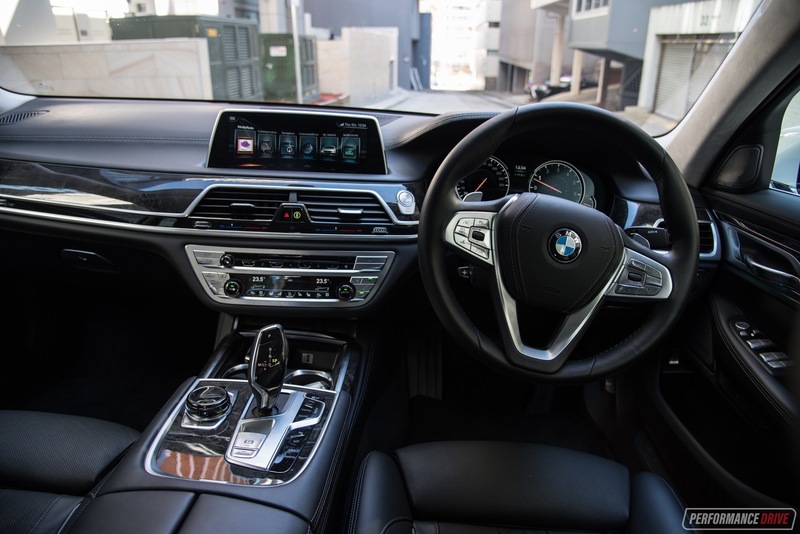 Open the door on the 750i and you’ll immediately experience the lightweight philosophy – it’s lucky there’s an automatic pull-close function as the doors are so light there’s hardly any momentum when you swing them shut. Presented at your disposal is a plethora of precocious appliances and it’ll-do-it-for-you conveniences. This is definitely one of those cars that you just want to sit in for a while and play around with all the gadgets. 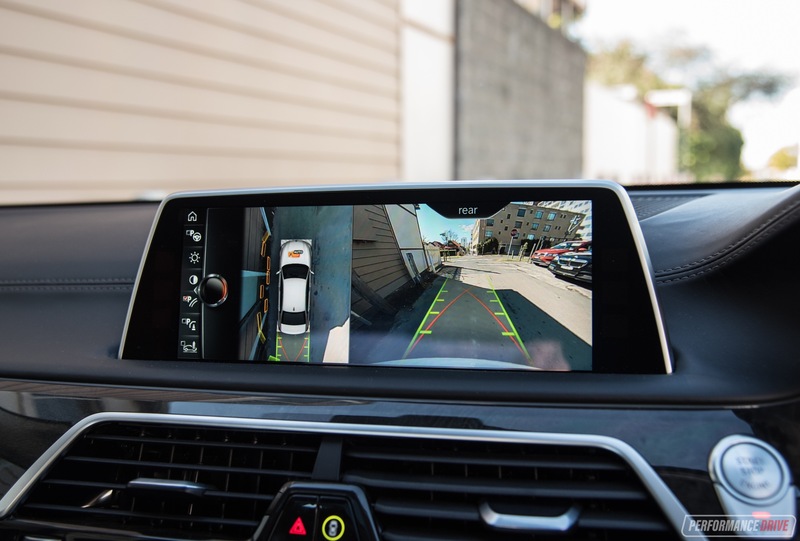 You can spend hours going through the iDrive 6 media interface represented on the centre stack, with configurable layouts, on-board apps, and full internet connectivity to dazzle your mind. 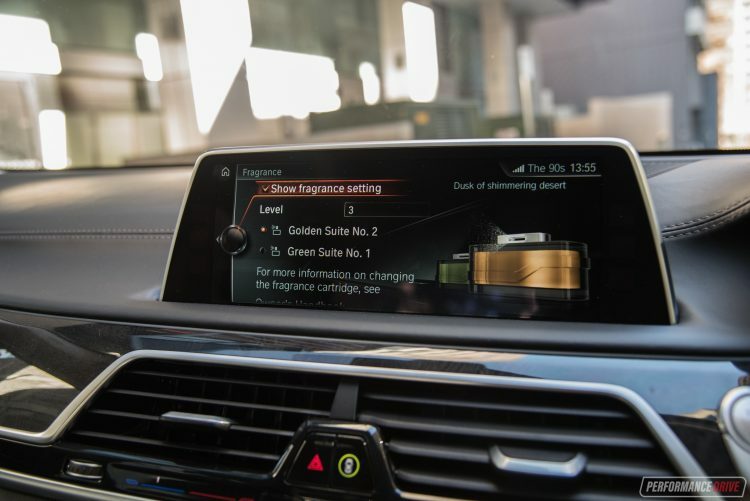 Some of the on-board apps are very special, such as the perfume control. Yes, perfume. If you stink from a busy business meeting, just sit inside for a while and you’ll come out smelling as scented as the cosmetics section in Myer. 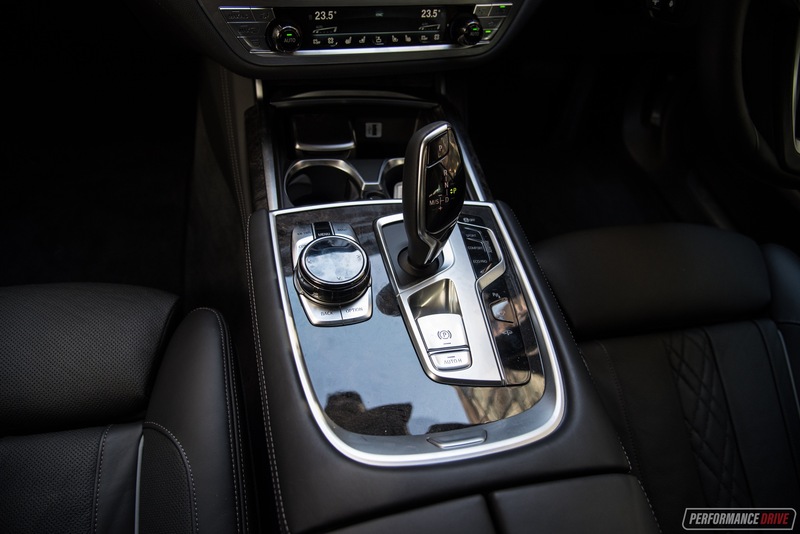 There are eight fragrances to choose from, and you can increase or tone down the level being gently steamed into the cabin via a sneaky section in the climate control touch-screen. Another very cool feature is the gesture control system. This allows you to make commands without actually touching anything – who has time for pesky button pressing? For example, to turn the volume up you simply wriggle your index finger in a clockwise motion, pointed at the centre fascia. The sensors will see it and adjust the volume for you. It’s like having your personal assistant sitting inside the dash. You can also skip songs with a two-finger poke, reject or accept calls with an air swipe, and many other things. 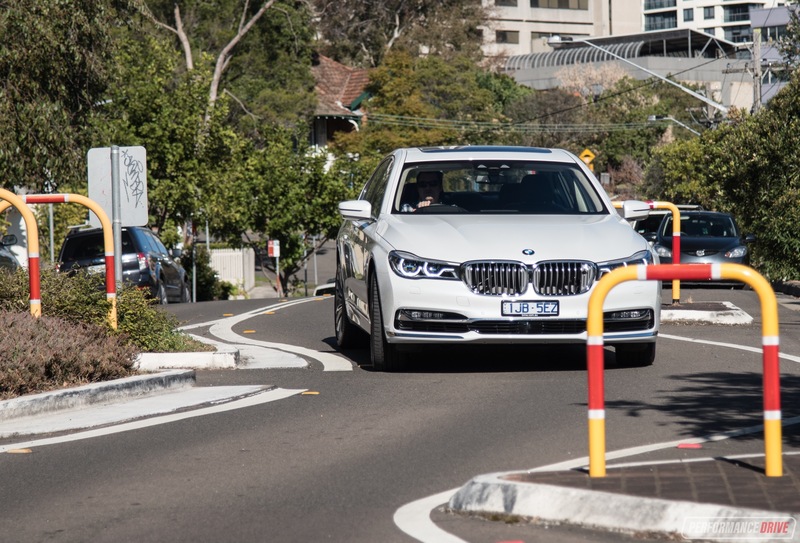 It is a bit gimmicky but it seems BMW does have a sense of humour as the actions remind us of an ultra-rich and somewhat pompous character pretentiously pointing around to get things done. Night vision is also standard on all 7 Series models in Australia. And while we can’t think of an occasion where this function would be essential, there’s no doubt it is very clever. In a circa-$300,000 car, the more of this 007 stuff the better, we think. 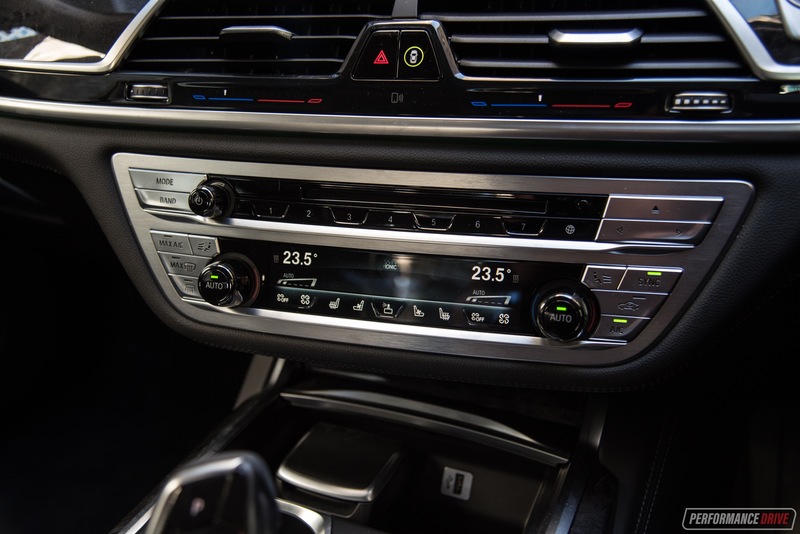 A lot of the main fixture placement and overall dash design is shared with the 5 Series and even the 3 Series in some areas, with only the grandeur of it all being the obvious distinction. Of course, a closer inspection reveals walls of exotic materials, with something soft, expensive, or exquisite to touch on almost every surface. Buyers can fine-tune their interior decor with a range of colour combinations and trimming details too, with several types of wood, metallic, or piano black inlays providing some contrast and added prestige. In terms of cabin space, the front is open and airy, with lots of room to breathe. Legroom and headroom are plentiful. In the back, strangely, it’s not the roomiest rear seat we’ve seen in a passenger car. Both outboard seats are sunken slightly for a relaxed position, however, headroom and legroom aren’t as exemplary as you might think and expect. 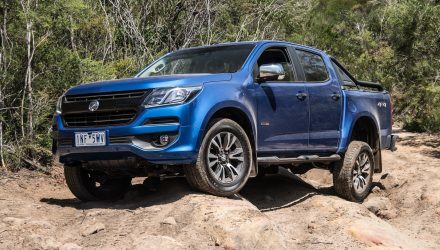 Although vast, we’ve seen more room in some SUVs that are out at the moment. 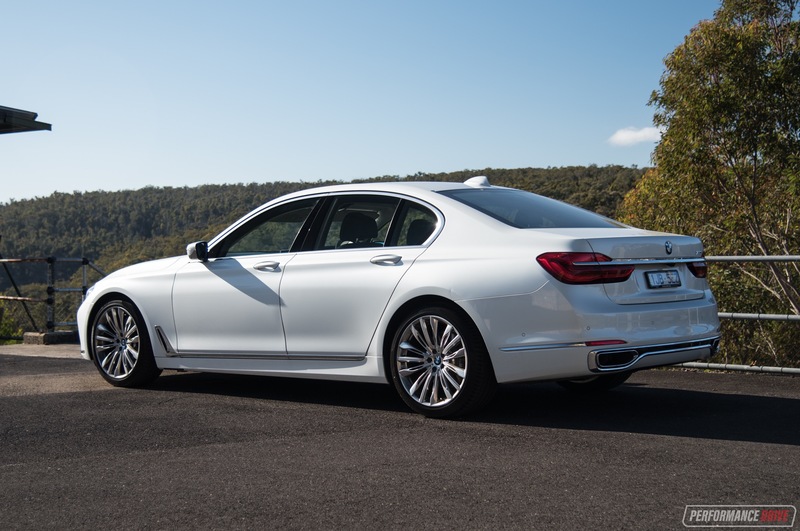 In this respect we’d recommend the long wheelbase model if you’re planning on doing some serious rear-seat sitting. You might expect massage seats in the back as standard, but these are optional. 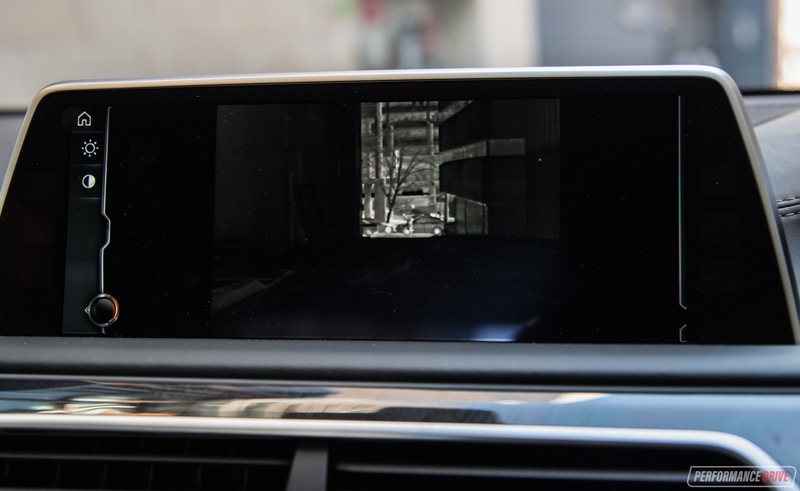 This gives you some idea of BMW’s objective with the latest 7 Series, catering for those who want to drive or be driven. BMW offers a number of special packages depending on your agenda. 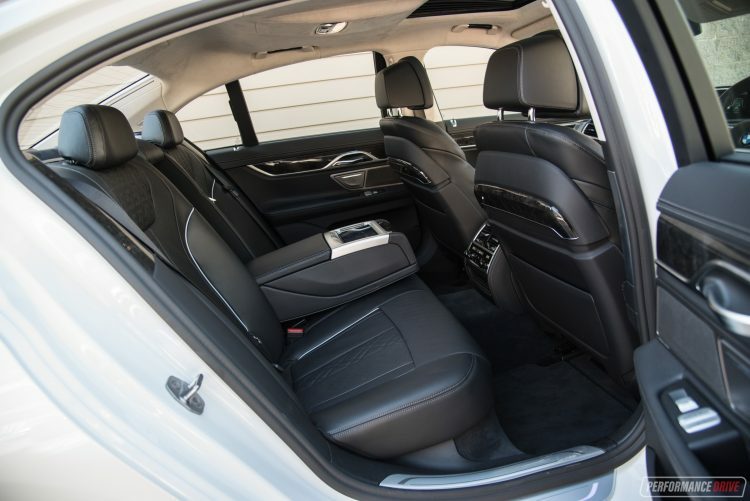 You can go for the ‘Executive Lounge’ package with massage and heating rear seats, TV with digital reception, and independent 10-inch screens. 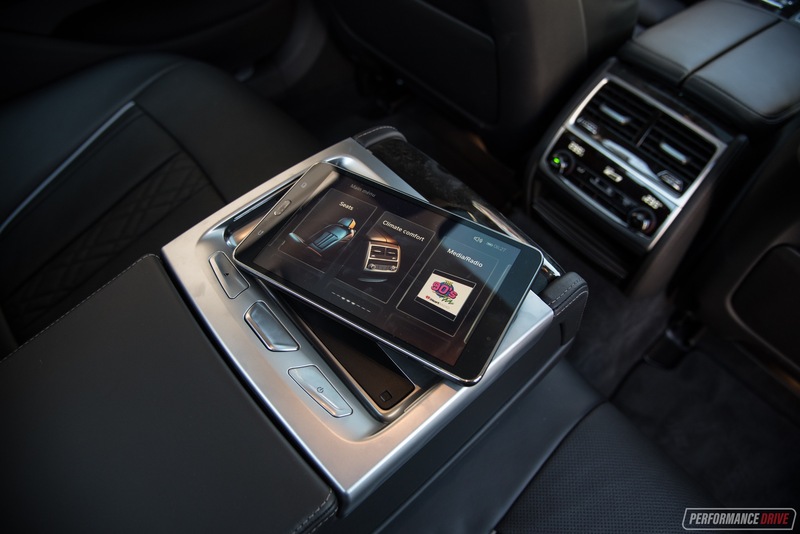 You can otherwise go for the ‘Indulgence Package’, with heated armrests (yep) and reclining rear seats. 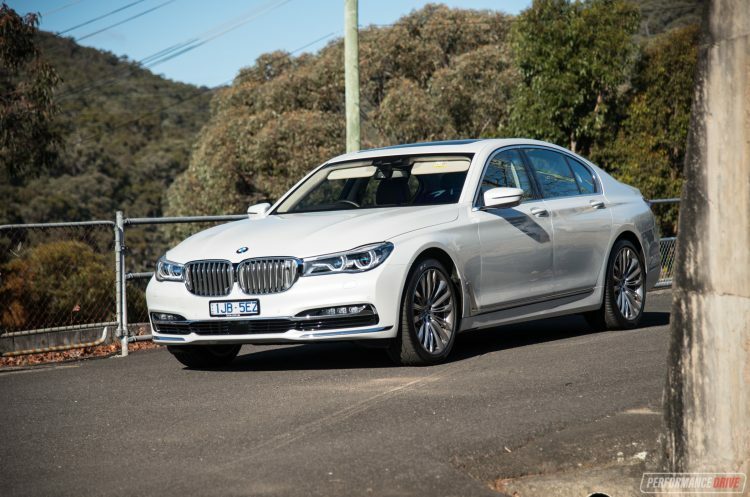 Or, if you prefer to travel in utter opulence, no less, you’ll need to step up to the ‘Model V12 Excellence’, available only in the 760Li, as a no-cost option. It’s difficult to be disappointed by the overall ambience and sheer technological smorgasbord being offered here, and if you were on the verge of making a purchase you can obviously enjoy tailoring bits and pieces to suit your desires. So, what’s the Carbon Core philosophy all about? 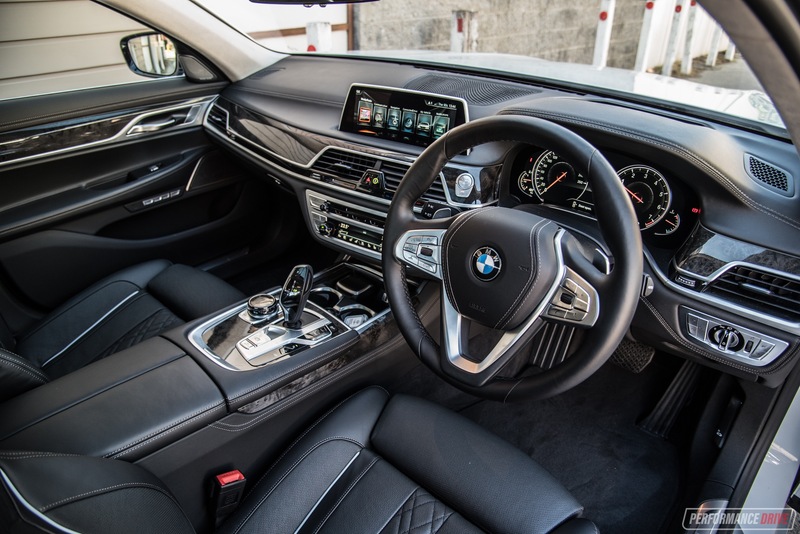 BMW has used its extensive carbon fibre research and development to infuse the strong stiff stuff into the main sections of the 7 Series’s frame. 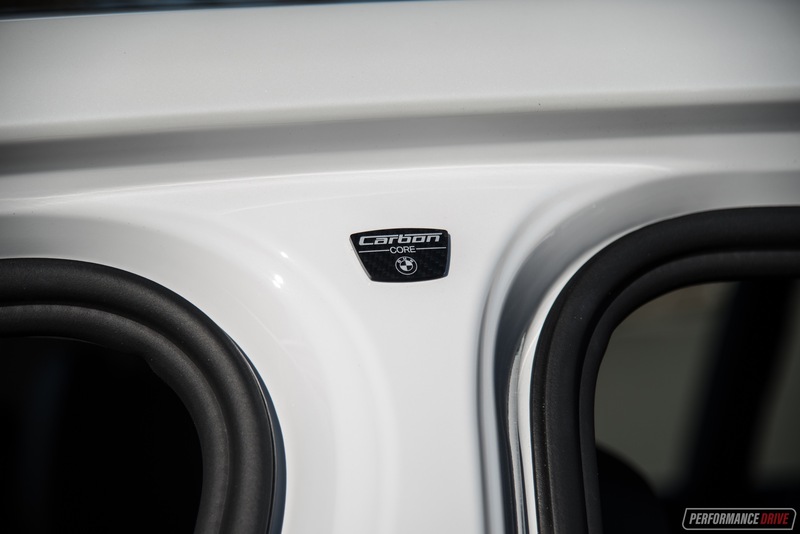 Through the floor pan and pillars you’ll find a combination of high-strength aluminium and carbon fibre reinforced polymer to help cut kilos from the large luxury land yacht. As a result, the 750i, even with its eight-cylinder motor and gizmos galore on board, weighs in at a very respectable 1768kg (tare). In comparison, the rivalling Mercedes S 500 sedan weighs 2010kg (tare). 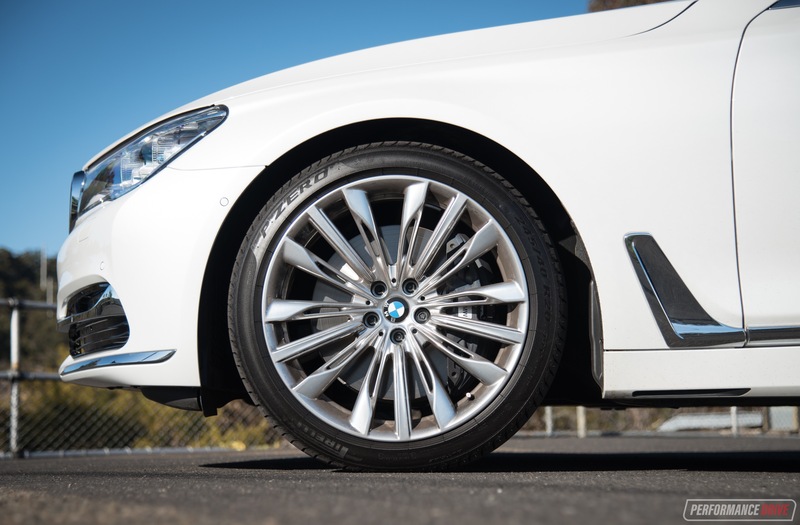 This gives the 750i an instant dynamic advantage. It offers a superior official fuel consumption (8.3L/100km vs 8.9), and a quicker dash from 0-100km/h despite being at a 5kW disadvantage and 50Nm behind the ‘Benz (official claim 4.7 vs 4.8). Out on the road you can straight away see and appreciate this engineering. It is a driving masterpiece, especially given its smooth-sailing intentions. Around corners it is obedient but with lots of feedback and driver engagement to amount to what is one of the most fun limo-like vehicles on the market. It never ceases to amaze us how BMW manages to make its cars so pleasurable to drive, regardless of shape or size. Pushing hard through the bends will give the standard suspension a hard time. 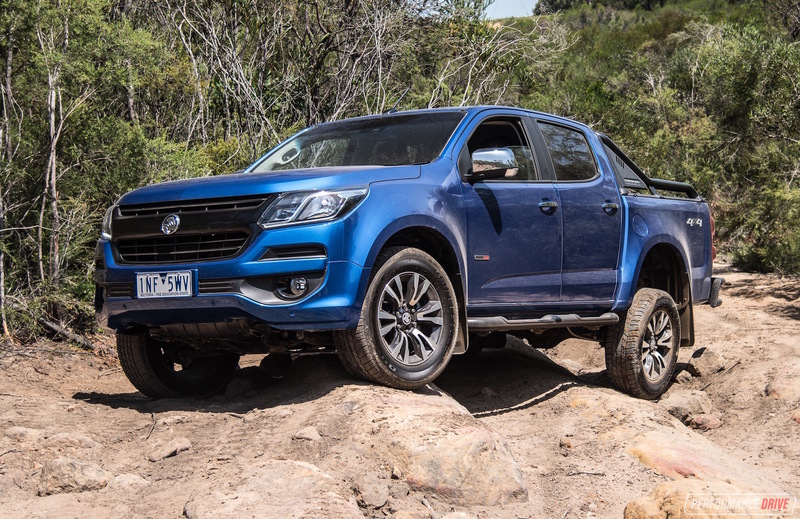 We think there is a lack of suspension compression at the front in particular. 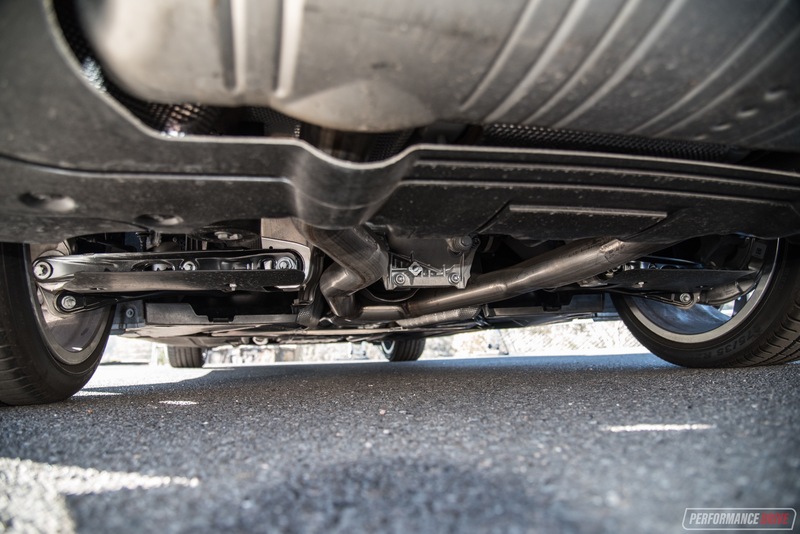 The double-wishbone front axle can experience moments that feel very close to full compression. 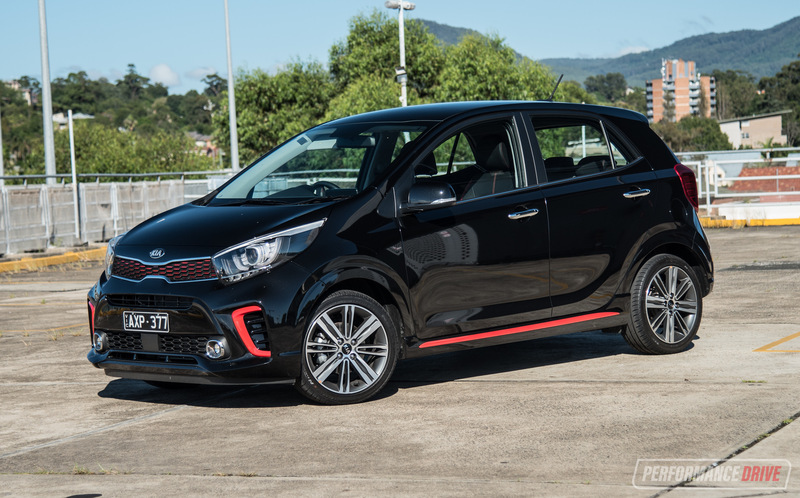 In the sportiest driving mode the standard dynamic dampers are firmed up, noticeably, but not enough to fully soften and slow down the upper ranges of movement. 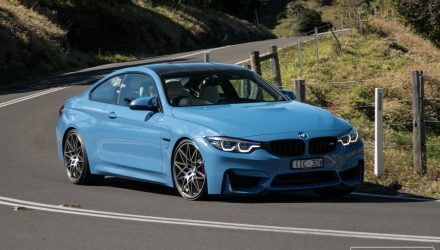 This could be fixed via the optional M Sport suspension package if this is a concern to you. 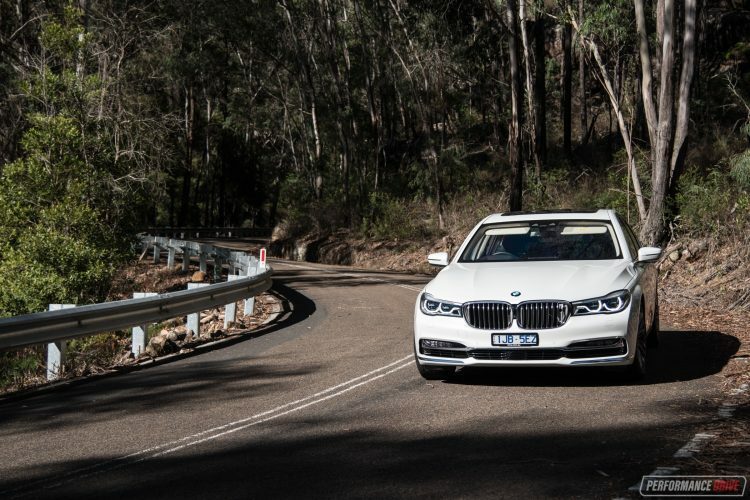 In all other areas though the big 7 Series weaves together precision and compliance while keeping comfort levels high in its order of priorities. The best part about the performance side of driving is definitely the engine. The 4.4-litre twin-turbo V8 is easily one of our all-time favourite V8 production units. 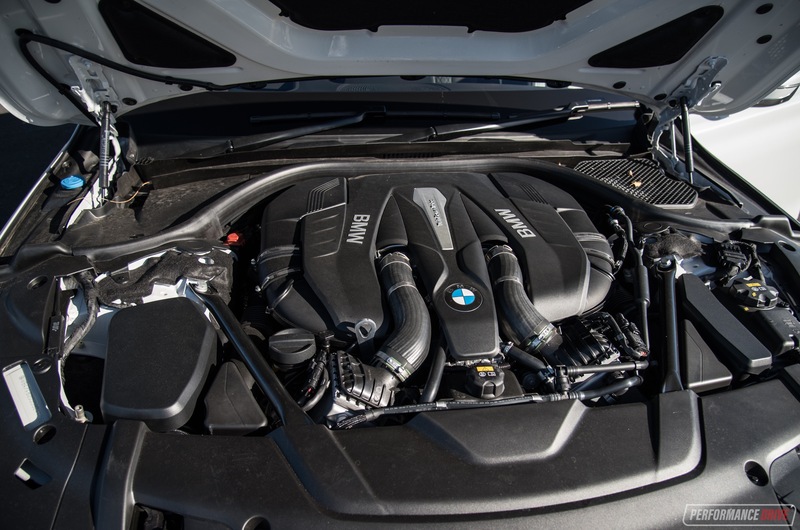 We know it’s not an outright performance engine, like what you might find in the M5 or any supercar. It’s too quite and too refined to be gigglingly exciting. But it’s this somewhat humble character that seems to heighten the joy. You just don’t expect it to force you that hard back in your seat. 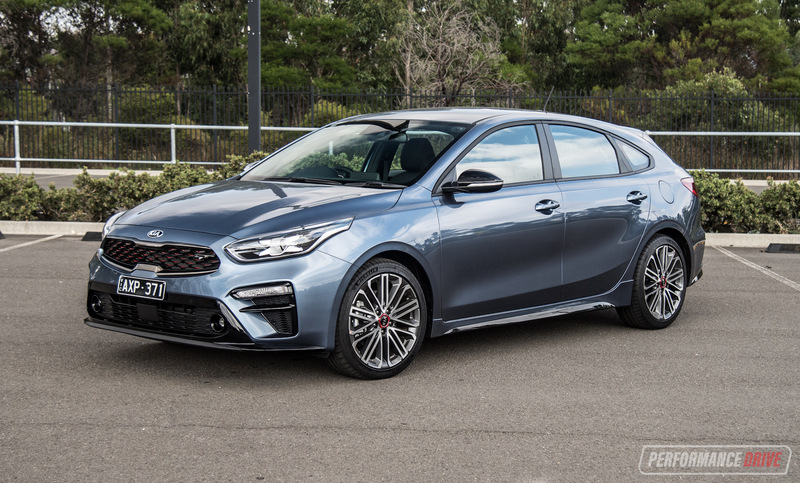 It feels a lot more powerful than 330kW and 650Nm, with peak torque coming in from just 1800rpm making it unbelievably responsive. Nail the throttle deep into the high-pile carpet and it propels mercilessly, gathering and exponentially building momentum like a train. We clocked a best 0-100km/h of 5.02 seconds, but this figure alone doesn’t explain much of the sensation you experience during such sprinting. A quarter mile of 13.2 seconds at 176km/h gives you more of an idea. Paired up to this magnificent engine is the indefectible ZF eight-speed automatic. Yes, we know many other companies use this same gearbox. 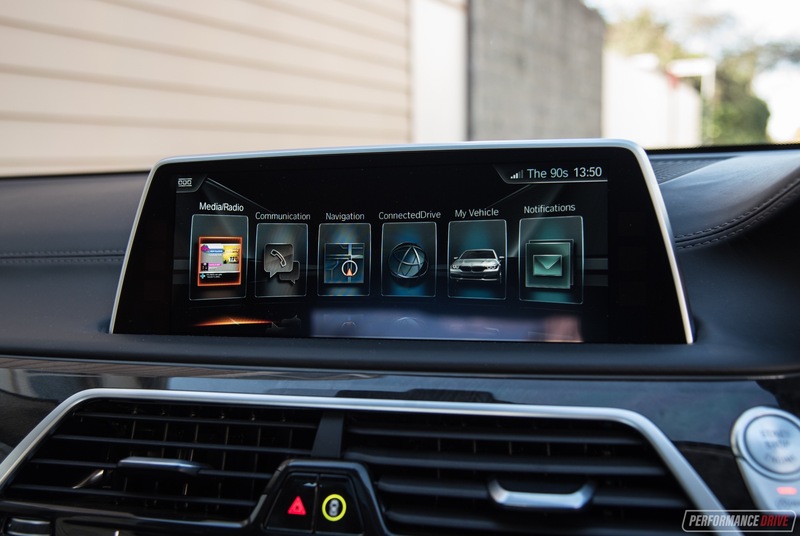 But it’s the tuning and software work that BMW does that differs. 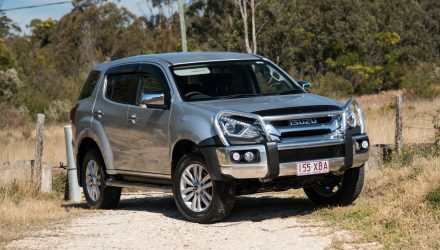 Every gear is seamlessly shifted into place, distributing power with absolute directness. 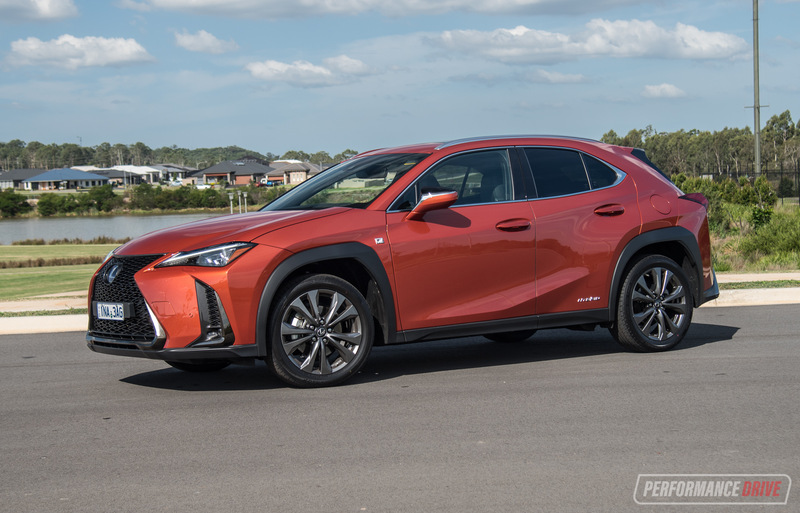 The ratios are perfectly spaced, too, with no annoying jumps into higher gears to save fuel like some rivals, or delayed automatic downshifts around slow corners. Instead, it’s always in the right gear and feels like it understands the pleasure of real-world driving, not laboratory ideals. Upshifts are ultra smooth, with a minute pause and exhaust pop, and whoosh, away it goes on a horizon-hunting mission. 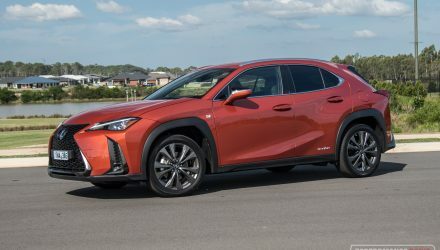 Downshifts can be directed under your command via the paddle shifters, albeit not quite as quick as a dual-clutch unit. You do get a sporty rev-matching blip with each trigger pull, however. Okay, so enough of the performance aspect. What about luxury? After all, a lot of owners are going to be in the back and not behind the wheel. As we mentioned, the rear seat isn’t the most accomodating, not in standard, optionless form anyway. 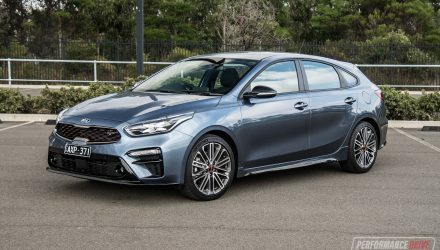 The engine is supremely quiet though, and the suspension silently absorbs road imperfections, with no abrupt crashing or juttering. 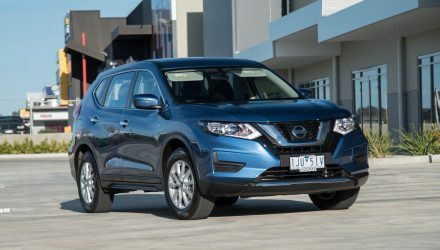 You get the sense of the sheer power that’s at the ready as well, which does make you feel more powerful on the road, even in the back. 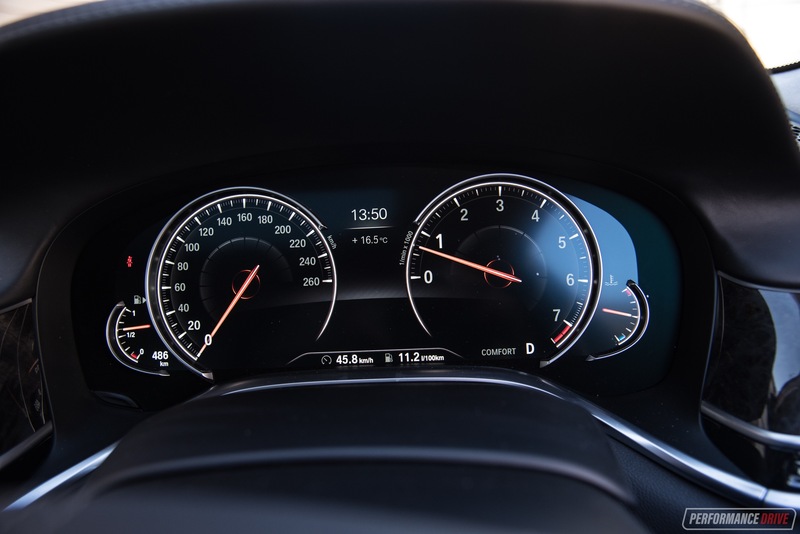 The effortless nature of the engine helps with relaxation when your driver needs to get up to highway speeds or overtake less-important motorists. We like the overall visibility from the back too. It’s not claustrophobic yet there is a sense of privacy, especially if you apply dark tinting. 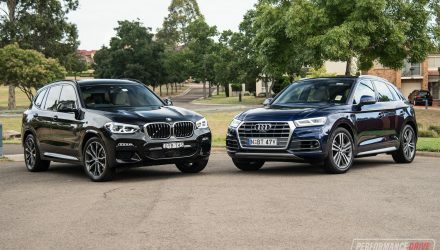 In an effort to create an advanced, lightweight, and dynamic luxury limousine, we fear BMW may have – accidentally or not – created another driver’s car. 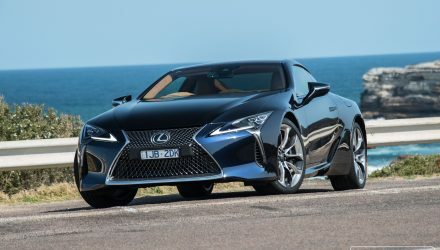 We love the way it turns and glides around long sweeping bends, and we absolutely adore the relentlessly powerful twin-turbo V8 and its perfectly-matched eight-speed teammate. But for a rear-seat passenger, we’re not sure if there is enough of a reason to want to get out of the driver’s seat and relax in the back. This is a strange problem to negotiate. There isn’t a fridge or woodgrain laptop table, or boundless legroom or ridiculously fancy amenities and trimmings to pamper you. Instead, we think your chauffeur will probably have a more enjoyable time than you. And for that reason, we’d go for the 5 Series. If you are planning on sitting in the back as a permanent resident, we’d recommend you go for the long wheelbase version, perhaps in 740e or even 730d form. Either that or go for the 7 Series’s platform-sharing cousin, the Rolls-Royce Ghost. 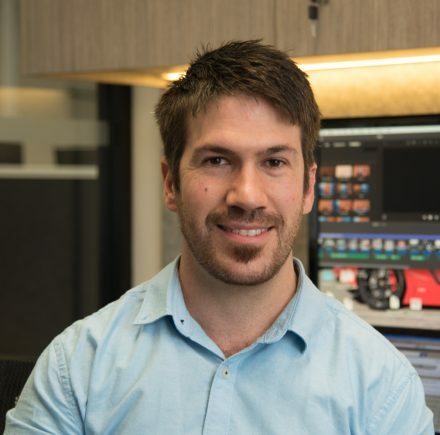 – A driver’s car instead of passenger’s car?